“Hang Me Now” is like an archetype of a stool; three sticks, a seat and a leash, – that’s it. 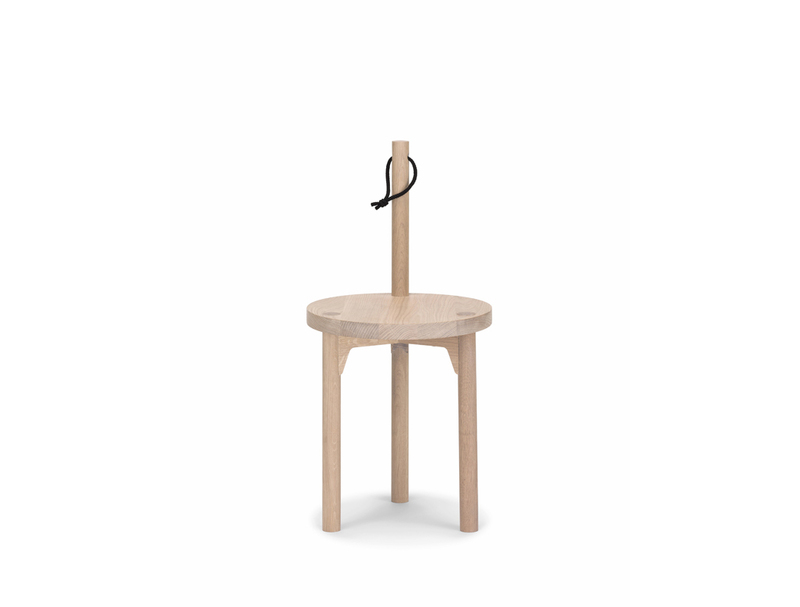 The included wooden bracket allows to hangup the stool at the wall. It´s an all-rounder that adapts to its owner and its home. “Hang Me Now” is made of solid ash or solid oak with high quality textile cords in fantastic muted colors. It´s a very “ Nordic” choice of materials, – materials with outstanding tactile qualities and durable wood types which in our opinion becomes more beautiful, the more it is used. The textile cord assigns the entire project a “soft” side, that challenges the strict geometric visual appearance.